Our mission is to develop a supportive and safe place for those with Chronic Lyme Disease and co-infections to receive treatment while integrating the best of all health modalities to achieve optimum results for each patient, which includes a body, mind, and spirit connection and reintegration. Inanna House is not currently up and running. It was and still is our dream to make this much needed center happen. We are currently raising funds to build Inanna House. The first facility will be in Sonoma County, the second facility on the East Coast. We envision Inanna House nation and worldwide, as there are so many in need. With a strong community behind us, we can only succeed. Help us create this oasis of peace, health, and healing for those in need. we would reach our goal in no time. This is for you! Inanna House appreciates the support of the Lyme community. Your generous donations bring us closer to completion. Please feel free to contact us with any questions! 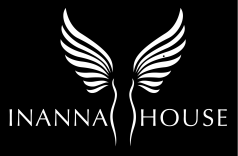 Inanna House is a registered 501c3 Charitable Organization, so all donations are tax-deductible.